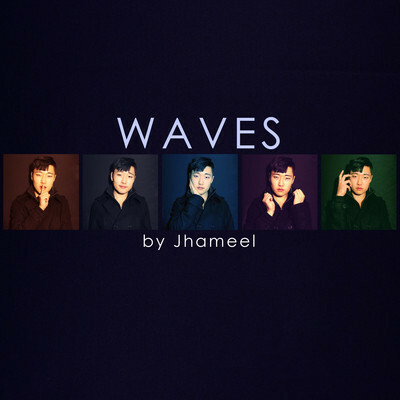 Waves was a conceptual project Jhameel created to get more of his music out to the world. For five weeks he released a new track. Each track seemingly couldn't be better than the last but it was. He collected all the tracks on one volume and released it for free on his website (where it is still available for download) and he had a limited number of CDs pressed that could be purchased with his autograph. What option did I take? The physical copy so that I could support his art. And I have said it before, what he does is art. The sounds are so rich and lush. The arrangements are gigantic and playful and his voice is so charismatic you are immediately swept up and taken on an amazing journey that you don't want to end. The first track on the CD is "Collision" and you are assaulted with wave after wave of pure funk awesomeness. This song is just so big and it blows my mind to hear every piece of it and how it all comes together as something so ambitious and so relevant. This song is the mayor of Funkytown and all other citizens in the town are happy to do it's bidding. 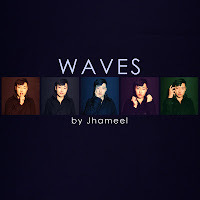 If "Collision" showcases how Jhameel can mesmerize you with his audio trickery, then "White Lies" is flow hypnotism that shows his mastery over rhythm and breath control and takes all the frenetic energy that was stored up and focuses it into a laser pointed edge that makes your head bob along with an ease and carefree abandon. The content of the songs are deceptive because he gets you hooked with his amazing skills and then you come back and listen to the lyrics and you're like, "Oh Damn!" Not only has he entertained you, he has given you things to think about. "Waves" conjures just that, a mental image of the tides being pulled and pushed by nature. The song is organic and doesn't force anything on you. You just get caught up in the propelling movement of the song and before you know it, you're knee deep in it. It's an easy song that just carries you along to the next destination. DO NOT misunderstand, I am not saying this song is lacking substance. It's not, it is breathy and deep and is as strong as the force of nature it invokes. Next stop is a dirty, grungy, electro-pop pit stop in the song, "Wicked". It doesn't matter what elements he works with, he is able to work magic. Electric guitars and synthesizers bow to his will just as easy as a cello or a piano. The composition of this song is raw and edgy and has some danger woven through the lyrics and arrangement. If "Wicked" is the climax of our journey then "Pursuit of Glory" is quite easily the denouement. We have had a grand adventure and now it's time to bring everything together and draw our story to a close. It's an easy song that just feels right and helps to settle us in. This man has quickly become one of my favorite artists and it's all because you can see where he is coming from and you can feel his point of view. It's impossible not to and for someone to have such faith in the work they are sending out into the universe, I can only thank them profusely because they are making something that will last well on into the annals of history. Support this man so that he can continue to produce this art. It's important because like all good art, it invokes feelings and makes you realize that you are in fact part of something larger than yourself.